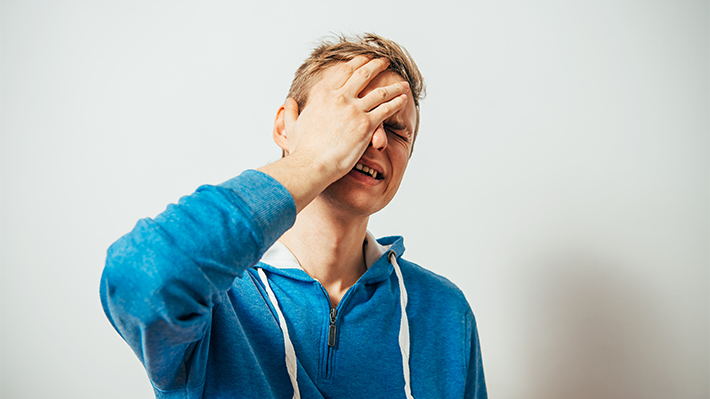 Salespeople - don’t make these 7 common mistakes online! We work with thousands of salespeople and sales leaders. That means we see a lot of online engagement – as well as a lot of online disengagement. Below, you’ll find a list of the most common, and egregious, mistakes we’ve seen salespeople make when trying to leverage interactive media platforms like LinkedIn and Twitter on behalf of their businesses. Read the list. Study it closely. Make sure you don’t repeat these seven mistakes! 1. Failing to use a professional photo. The visual online message you should send as a sales professional can be best summarized as “professional, reliable, and focused on delivering results.” That’s not what you get when you post photos of yourself at a luau! If you’re looking for a good place to post your vacation pictures, consider your personal Facebook account. (And don’t post anything there that you wouldn’t want to see on the front page of the New York Times.) In a business-oriented account, make sure your photo is a high-quality image of the kind you would expect to see on a Fortune 500 company’s website page introducing the senior corporate officers. Consider investing in a professional photography session to get this look. 2. Waiting too long to update your profile. We see a surprising number of salespeople we work with who haven’t updated their LinkedIn profile in over a year. If this describes you, please take a close look at your LinkedIn profile today. Make sure it has a strong, relevant, timely summary of the kind of pain you now help your very best customers to avoid. For instance: “We specialize in custom-designed inventory management systems for manufacturing and distribution operations. We’ve been particularly successful with companies in the X, Y, and Z industries that are concerned about the costs associated with inaccurate inventory counts, unhappy with frequent paperwork bottlenecks that slow down the fulfillment process, or disappointed by the amount of time it takes to reconcile purchasing, invoicing, and shipping records. We’ve been able to create hand-in-glove inventory management systems that help our customers save time, attention, and money.” Once you’ve developed this kind of summary, you should make a point of reviewing and updating it every sixty to ninety days. If it’s out of date, revise it! 3. Not posting regular status updates. These should occur, at a bare minimum, once a week. If you’re not sharing what you’re up to, interested in, and/or excited about on a weekly basis, you’re not effectively leveraging your social selling channels. Three to five times a week is probably a better minimum target for professional salespeople. 4. Being 100% promotional and failing to have real conversations. Bear in mind that it’s called “social” selling for a reason. We want to engage in conversations with other people! Today’s digital communication channels give us the opportunity to initiate one-on-one interactions with individuals we might not otherwise be able to reach. If we’re so busy pushing what we want, what we offer, and what we think we are good at that we don’t engage in individual conversations, we’re not doing ourselves or our teams any favors. Digital conversations have core similarities to in-person conversations. If one side is constantly “monologuing,” and never responding to what the other person has said, the conversations aren’t going to be fulfilling for either side. 5. Failing to like, share, and comment on other people’s posts. This is an essential element of online etiquette. If you’re not taking a little time each week to read and circulate information of real value that comes from other sources, you’re not going to build up much of a following. Be sure to explain, briefly, why you like and choose to share a given article, video, or other resource. Make it as easy as you possibly can for others to benefit from the value you’ve found. Don’t share inappropriate -- or even borderline-inappropriate -- humor. 6. Sending impersonal invitations and messages. Reaching out to someone important? Make sure your communication is perceived as coming from one person (you) and targeted toward one person (the specific individual you want to engage). Include details, such as the name of a shared acquaintance, that a software program couldn’t possibly incorporate. This may take a little more time and ingenuity, but the investment is well worth making. 7. Never giving, or asking for, recommendations and referrals. Always be ready to add value by sharing referrals and recommendations you know others will benefit from. Always be ready to outline what specific kinds of referrals you’re looking for – in other words, what your ideal prospect looks like. No, this isn’t something you want to do at the very beginning of a business relationship – but it is something you should be prepared to do when the moment is right. Once you’ve added some kind of value to a new contact, and have generated an initial conversation, it’s perfectly appropriate to ask what kinds of referrals they’re hoping to see from you. You can then briefly share the kinds of problems and challenges you and your organization excel at removing from the to-do lists of people and organizations lucky enough to work with you.